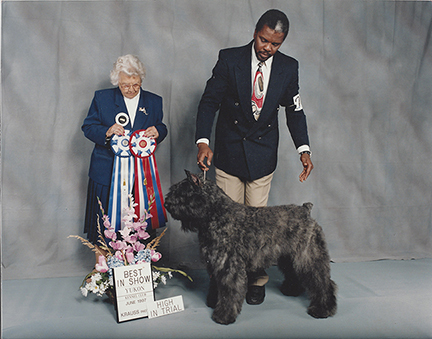 We became interested in Bouviers in 1984 when I saw a Bouvier on the cover of Dog World. 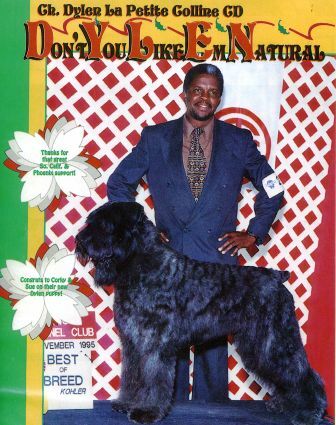 This dog was Dutch and had as many titles in front of his name as the rear of his name. 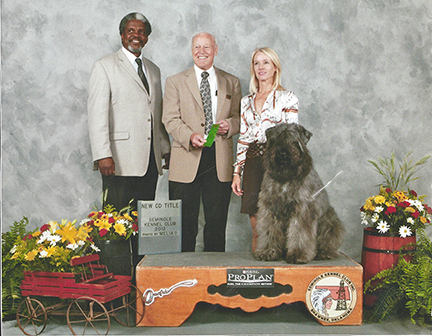 I went to the first North American Working Bouvier Trial and was not impressed. 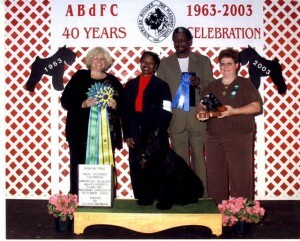 I met Henk Harmers Dutch (Judge & breeder) and soon went to the The Netherlands where I was impressed and bought Two Bouviers. 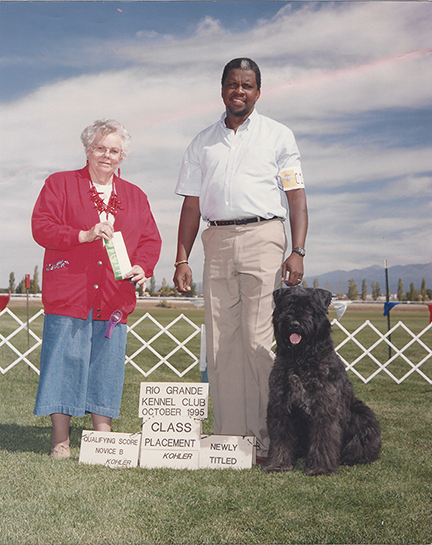 They did very well in conformation, obedience and Schutzhund work. 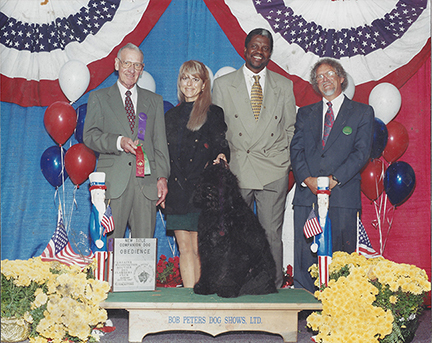 Over the next ten years I returned and brought many dogs that helped to establish many well known Bouvier Kennels in the U.S. 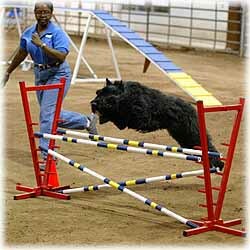 Although I agree with the Bouvier Standard, My belief is that it should also include the dogs working abilities. 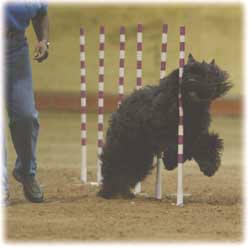 Reidsan Bouviers are first evaluated for temperament, working ability and finally conformation. 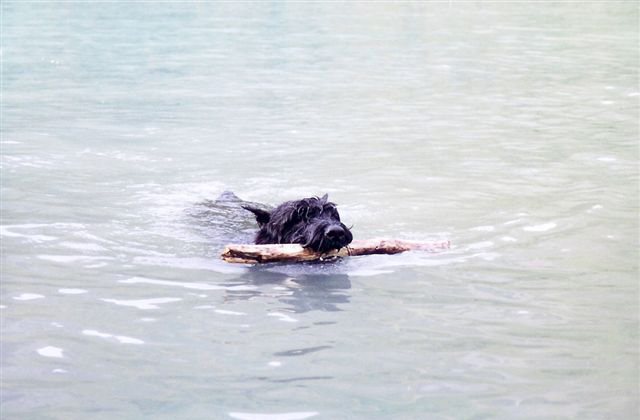 A dog must have the courage to work and live in today’s society and perform the task he was bred for. He should also have the conformation to perform those tasks. 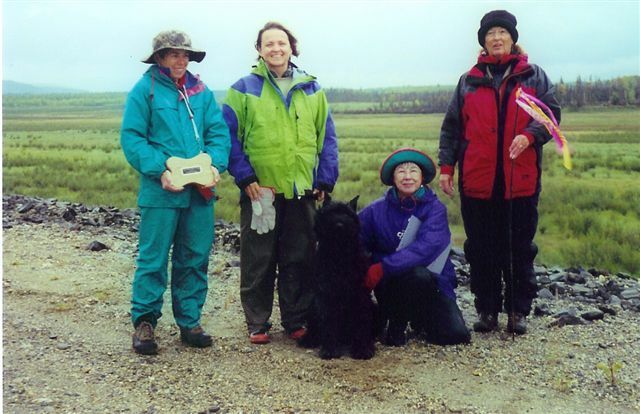 You will find our dogs in the not so average home. 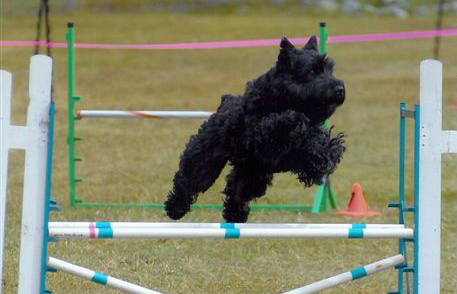 Our Bouviers are for active families that want to hike, do obedience, compete in agility, protection work, maybe conformation but most importantly a member of the family. 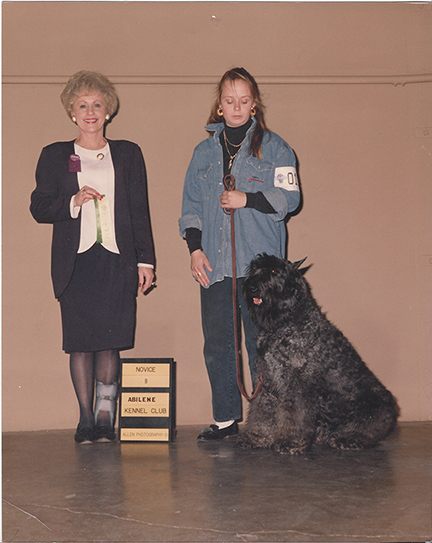 Since 1985 the AKC record books always show ReidSan Bouviers at the top in conformation, obedience and now agility. 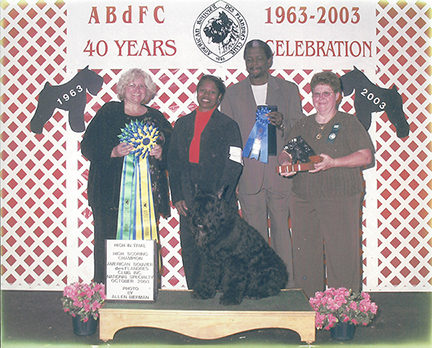 Adult dogs: We also have obedience trained adult dogs available that are sociable and good with adults and children. The Bouvier is a great working and family dog and is Hypo Allergenic. This dog would be perfect for President Barack Obama’s daughters.